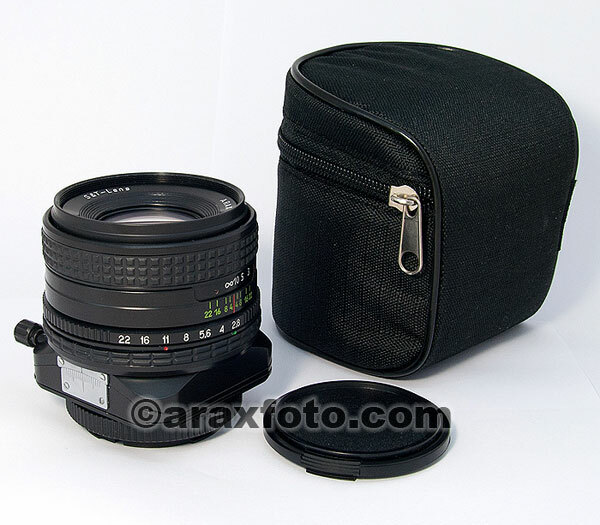 ARAX 2.8/80mm Tilt & Shift lens for range of digital cameras. 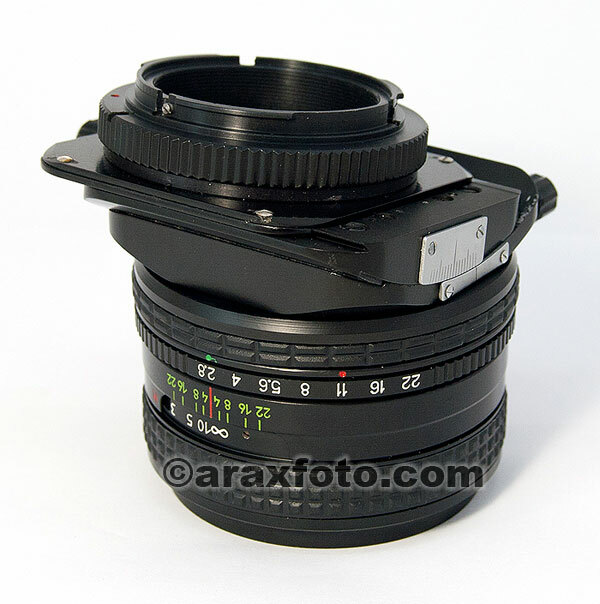 ARAX 2.8/80mm Tilt & Shift lens. Free mount exchange! This multicoated ARAX 80 mm Tilt/Shift compact lens has a high quality precision CANON type T&S mechanism. 11mm shifting, 8 mm tilting and 360o rotating capabilities enable you to correct perspective distortions, as is often required in interior and exterior architectural, landscape and product photography. The effects possible with large-format camera movements can now also be obtained for 35mm cameras through these TS ARAX lenses. You can use this lens on any 35mm digital or film cameras including full-frame DSLR. Lens had no any problems with rotating and turning to any direction on Canon, Minolta, Pentax and other cameras. Old lenses has problem with Nikon flash slot. It is too close to camera mount. Now our new generation lenses free rotates on Nikon camera body without problem with flash slot. Tested on Nikon D70, D90, D200. Lens comes with front protective cap and soft case.